Javier Use the coupon at checkout and receive 20% off all livestock items not already on sale or price reduced due to lot pricing. 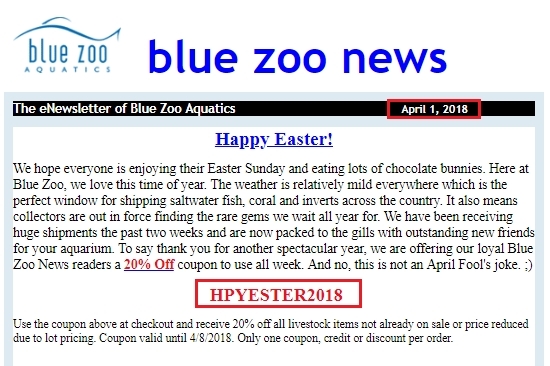 Coupon valid until 4/8/2018. Only one coupon, credit or discount per order.